What is the shakeup you refer to Rob? I think e shake up is simply that a lot of the fintechs will be bought out by the established players if they ever get big enough to be seen as a real competitor. Shake-ups always come in new markets. Customers decided which of the competing newcomers are worthy of surviving. The other merge or close. The ones that survive are then bought by established players. It is a very standard model. Describing Revolut as plain vanilla banking with pretty cards is a bit disingenuous. The whole point of Revolut(and some of the others) is that they are disrupting the major banks by offering plain vanilla banking products with significant lower cost to the customer. e.g. transfer 10,000 GBP to USD using a high street bank and expect to pay £300-£400 in fees and commission. Use Transferwise and you still pay at least £50. Use Revolut and you pay £0. The models behind Revolut and others may be, arguably, unsustainable but continue to grow significantly and right now they offer much more over the high street bank than a pretty card. This is a teeny tiny market though. How many people actually do such foreign transfers? You certainly don’t pay £0 with revolut, less than transferwise yes, but not zero. It still has a spread, albeit small. About £1 for £10k. You also need to pay a fee, or be a premium member for transfers of that amount. There is definitely no spread on Revolut transfers, at least on weekdays. On weekends I believe there is a small spread. You are correct that only £5000 per month can be transferred fee free on the free account, any amounts exceeding that have a .5% fee, or you can pay £7.50 a month for Revolut Premium and then there is no limit to how much you transfer. I am speaking from first hand experience(I have transferred significant amounts through Revolut and saved thousands – even vs Transferwise) but you can check the link below if you don’t believe me. I agree that this might be a niche benefit but I think Revolut offers a lot of other banking services that are significantly cheaper than the high street bank e.g. foreign ATM withdrawals. They don’t have a spread during the week. Certainly not anything near 1£ per 10,000. I sit at a bbg terminal monitoring when I exchange and if there is a spread it is more like 5p per 10k. I typically execute at the level I see in bbg. On G4 at least. The market is in people who go on Holiday and use their bank cards and get absolutely ripped off, and are sick of this rip off so jump at an alternative that is simple and offers close to fee free fx. This is not a small market. Certain they lose money on their free customers. The question is will the get enough premium paying customers to finance this. I suspect they will need to gradually add more fees (to get closer to transferwise fees) once they have a sufficient base of customers, and they no longer want to burn through their cash. By shake up do you mean Curve will actually find a business model that is profitable? No, that it will cease to exist. Monzo is the natural winner. Could be. But the CEO admits only 20% of active users pay their salary onto it. There is a chance they are all losers. My guess is it’s sharks trying to put M ‘into play’ at a vulnérable moment. It will be a dark day if they succeed. I stick with Metro even paying their FX fes when they charge them. I’m fully aware i could avoid these by using methods discussed on here. But i pay them because i figure that sustains things luke their weekend opening and longer hours that I like. Revolut is actually a great match for many Germans: Maestro card, instant notification, ability to disable and enable cards instantly, SEPA transfers, and online registration without having to go to the post office puts them miles ahead of the competition here. Whenever I showed someone my Revolut card, these were the interesting features. 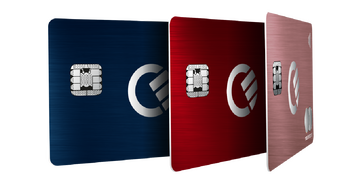 A credit card that charges another credit card is less of interest in a country where most people only have bank issued debit cards that are part of a national payment scheme to withdraw cash from an ATM. I know the situation is different in the UK. With their current valuation these companies need to be present and successful in many countries. Yep, I’ve now had multiple situations abroad when paying with Revolut where the checkout assistant has said they have it too, or once wanted to show their friends because they’d been telling them about it! Amex didn’t withdraw with “no notice” – as you’ve said later on in the article, they explicitly told Curve that they wouldn’t be involved any more which they ignored and launched anyway. The weekend FX fee is also 1.5% in almost every country around the world, it’s only 0.5% in EUR and USD. Also Rob you can withdraw 10 x £200 withdrawals per month with no fee. The article says only £200 per month. It is 200 GBP per month on Blue and 400 GBP per month on Black. Is the £200 per month based on calendar month or rolling month? So can I say withdraw £200 on 31st March and another £200 on 1st April? I rarely withdraw from Curve, normally 3 months apart. No, that’s not what happened. What actually happened is that Amex agreed to do a Beta and then Curve de facto did a public launch which they called ‘a public Beta’. Amex decided that this was not a Beta at all. That’s not what Curve said… They specifically stated that they were informed by Amex that they weren’t happy with the beta and so wouldn’t be taking it further before the public launch. Just as described in the quote from Amex you’ve included. That’s not what they said TO YOU. Those two aren’t mutually exclusive. @Rob Do you hold any sort of position at Curve/Curve 1 LTD; or carried out any work for them, perhaps on a freelance basis for them? I have no idea what “TO YOU” being in capitals is meant to represent? Their blog post on this subject describes it pretty much how I did – with the usual Curve spin and waffle. It certainly confirms that they were aware of what Amex thought before they launched and that they didn’t want to continue on this basis – they just felt their merchant agreement means it doesn’t matter. What I meant is that I know stuff not in the blog post. Rob – Oh I see! I did consider that, but then dismissed it as I couldn’t make sense of a decision to give a more negative spin on what happened in public than in private. Something to do with the legal case? I thought the interchange fees didn’t apply to pure AMEX cards such as Platinum? and only applied to the likes of the BA branded AMEX cards? is there as higher interchange on the “pure” AMEX cards or is this if they are issued abroad? Surely any Apple Cards would follow suit..
Have you seen that Apple have announced a card, 2 percent cash back. I think it’s gojng to be an industry disrupted. Mentioned several times already. Unlikely to be viable in UK at 2%. Aren’t you better off doing the analysis at £15k spend where you get the 10k MR bonus? Ok at 3% fee on GBP£15,000 overseas spend on Amex Gold CC that’s GBP£450 and you’d pick up 40,000 avios. Currently GBP£655 to buy 40,000 avios via BA. Now saving is GBP£205. Unless you have a clear plan what you are going to do with the cash back I don’t think it makes sense over collecting points. and you’re going to get a few Amex statement credit offers/ Shop Small £5s over the year you hold Gold. Russ that’s exactly backwards – it makes no sense. With points you’d better have a clear plan or reason for wanting them. With cash you don’t need any plan – it’s accepted everywhere for everything and never expires. Ermm see comments above yours? Mediocre product in USA, not going to come here on anything like these terms. Aside from Revolut.. where can I top up these new style bank accounts with a debit or credit card? They traditionally have to remember to take their credit card with them, remember their PIN, remember to check their mailboxes for their monthly statements, remember to pay them off in time etc..Only helped slightly by the likes of online banking etc. The app just lets you use your finger print as access, tap and go – reminders on the fly etc..
You may be there one way! I presume that Hard or Soft BREXIT will affect whether or not the prior non 0.3% capped credit card interchange fees will be able to make a comeback in the UK. 0.2% interchange fee on debit card makes some sense but only 0.3% on credit cards with all the attendant risks of bad debts does seem aggressively and anti competitively low in nature. I’m sure it’s been said a few times on HFP that it was the UK which initiated the capping?!! Nope – notwithstanding any requirement for regulatory alignment post-Brexit, British MEPs were significant supporters of the interchange caps in PSD. More people looking for pink unicorns to emerge from Brexit. Reality check: there aren’t any, you were sold lies. As has been pointed out many times, this was a UK initiative in the first place which we effectively forced on the EU. Although as a point collector the interchange cap isn’t good news, for the efficiency of markets its certainly a good thing. Card processing has been sewn up by a few major players in my living memory and it’s been a licence for them to print money usually at the expense of small business. It’s one industry where I’d love to see the incumbents pushed out of business. I thought worldpay was a very brave acquisition last week. Why would Brexit have an impact on interchange when it was the UK the pushed for the cap in the first place? If Amex just had no FX fees for UK customers, (US customers pay 0%!) then I expect that would increase their usage. But its probably a huge cash cow for them. Bingo! 2.76-2.99% FX fee is huge earner for UK card issuers. There was a lot of resistance from publishing that fee separately on the statement, and some card issuers still not do so. Most time it comes down to complacency and “convenience” of people keep using the same card — and they feel they are getting something in return (e.g., Avios points). But when fees going high — even spenders re-evaluate, and it’s enough to break the pattern and add 1-2 different cards to their regular use. Lloyds Avios was that kind of product, and Virgin could be more aggressive (but went for ancient approach to underwriting). Is there a “not” missing in this paragraph? If this goes to open court — which I doubt — Amex will be forced to give reasons for declining to work with Curve, or they can simply argue they don’t have to work with anyone they don’t want to without giving a reason. They already refuse to work with other businesses, or impose such egregious terms on doing business that the potential merchant partners often walk away. Will the courts intervene to force Amex to work with all merchants on fair and equal terms? Please could someone explain the difference between revolut and curve (if any) – what one is better for use with credit card? Revolut is topped up while curve charge at the time of the transaction. Curve is more widely accepted, more convenient and less risky than Revolut. Revolut has slightly better FX rates and you can do a bank transfer out of their app. I have both, but 95% of my usage is Curve. Curve recharges transactions to your credit card. Revolut you have to top up beforehand. I use curve a lot, including cash withdrawals. Can earn a few curve rewards at certain retailers. Revolut I only really use to make bank transfers. They are different products. Revolut is like a gift card. You need to load it up from your bank account or credit/debit card and can only spend what it loaded. Curve is simply an intermediary which passes the purchases through to the underlying Visa/Mastercard. so you can top up when you have a good exchange rate etc..
Curve on the other hand is just easier to use and saves you having to carry all your cards with you that are linked – you can lock the card from the app etc.. its a proxy card – I use it abroad a lot as the zero to low FX fees are all you get charges as your underlying card is charged to Curve uk always. You really should do a search on both products both here and the outside world……there’s been enough written about both. Tesco credit card … not the greatest rate but some is better than none! I paid a £3k roofing bill via Billhop last year, having weighed up the benefits carefully. It triggered a BAPP sign up bonus and helped get me to my 2 4 1 within 3 months, thus saving a chunk of the BAPP fee. I then redeemed the voucher for F seats to New York on my birthday which falls at a very expensive time of year to travel. so I feel that it was worth it. Can you buy gift cards in Tesco for this retailer?? It doesn’t look at all promising – there are other much better cards available in the US already and there’s no way in hell this would ever be released here in anything approaching this form. Though Apple are doing what Apple do best – release something that already exists elsewhere with a shiny new look and get people talking about how great they are!